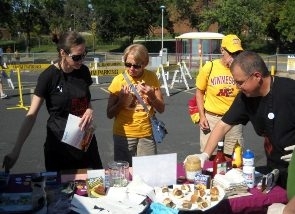 The ARC volunteer team again showed Gopher football fans that vegan grilling can be delicious as 478 fans tried something new at the first conference game of the season. We passed out samples of Tofurky brats and So Delicious vegan ice cream sandwiches. We were well received and had a great time offering samples and literature to folks as they went off to cheer for the home team. We especially loved all the comments people made about the food tasting better than they thought it would. 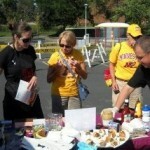 It was encouraging to see vegan food get such good reviews from die-hard tailgaters. A new ARC campaign, No Pain In My Name, is now live. The campaign exposes Marilyn Carroll’s hideous experiments at the University of Minnesota, in which she “researches” the effects of drug addiction by training monkeys and rats to self-administer drugs that humans misuse such as cocaine, heroin, and alcohol. The site gives voice to the community this “research” is supposedly benefiting: addicts, recovered addicts, and those who love them. Visit the site and find out what you can do to help end these experiments. Vegan University: Find the Vegan You at Vegan U! The Animal Rights Coalition is excited to announce a new program designed to promote compassionate eating: Vegan University. Vegan University’s mission is to help you go (and stay) vegan. Vegan University consists of three elements originated by ARC: free Vegan Shopping Tours of local co-ops and markets designed to teach people how to shop vegan, free Help, I’m Going Vegan workshops, and a Vegan Mentor program. 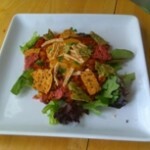 We also host Vegan Community Circle discussion groups. What makes Vegan University unique is that we not only support people interested in transitioning to veganism via mentoring and community, but we also help people with the “how” once they believe in the “why.” Read more about Vegan University. 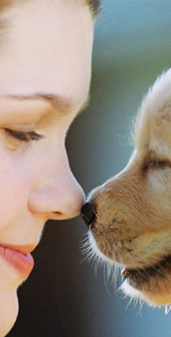 Humane educator AmyLeo Barankovich is passionate about creating a better world for all beings. In her ARC-sponsored Teaching Compassion program, based in Minneapolis, she offers classes for grades K-3, and uses stories, music, and art to teach children about compassion. Read an interview with AmyLeo in the Institute for Humane Education newsletter. 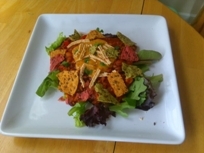 Check out these winning Vegan Iron Chef 2011 Recipes: Kaylyn’s Mexican Style Chili with Nacho “Cheese” Sauce and Justin’s Key Lime Cheesecake, and other yummy recipes from ARC’s Vegan Iron Chef Contest. Vegan Iron Chef was sponsored by Wayfare Foods. Most people are unaware that our government is using anti-terrorism resources to target the animal rights and environmental movements. Here is the story of how everyday people are being prevented from speaking up for what they believe in. Like the Red Scare, this “Green Scare” is about fear and intimidation, and Will Potter outlines the political, legal, and public relations strategies that threaten even acts of nonviolent civil disobedience with the label of “eco-terrorism.” Watch the book’s trailer. Green Is the New Red is especially relevant for Minnesotans given that legislation introduced this past session, Senate File 1118 and House File 1369 would have criminalized videotaping or recording audio inside puppy and kitten mills, research labs, farming operations, or any of a long list of “animal facilities.” This bill would also have made it a crime to possess or distribute these images, even if a person had no idea how they were originally obtained. Read Will’s Op-Ed piece What is Big Ag Trying to Hide?. Most Minnesotans don’t know that under a 1949 law, any animal in a publicly funded shelter for more than five days can be claimed by a laboratory for experimentation. This practice is known as pound seizure, and it’s Minnesota’s dirty little secret. Only two states, Minnesota and Oklahoma, still have laws requiring publicly funded pounds and shelters to turn over animals for experimentation (Utah eliminated mandatory pound seizure in 2010). Check out Winter 2011:The 30th Anniversary Issue for a great read about ARC’s groundbreaking role as one of the first grassroots animal advocacy organizations in the U.S. It’s fascinating to see how far we’ve come – and where we hope to go.